Went out of their way to help us check in early after a 23 hour journey! Very friendly and helpful and excellent price and location! Everything, the location, it was very secure and clean. Very close to places to eat. It had a wonderful vibe, a place you want to call home. The helpfulness in meeting our early check in / bag drop needs. The location in regards to restaurants, cafes and shopping. The comfort of the bed. Great location. Close to lots of Melbourne activities. Lots of eateries and coffee nearby. Key collection details and process well explained. Very clean and well presented. Location Cleanliness Responsiveness of owner. Lovely weekend spot. The whole experience was excellent for us from meeting Maki to get the keys, being able to extend our check-out time at the last minute. Having stayed in the area previously this accommodation was by far the best and I would definitely recommend it and stay again. I loved the bed sheets! Bed was very comfy and apartment was very quiet. 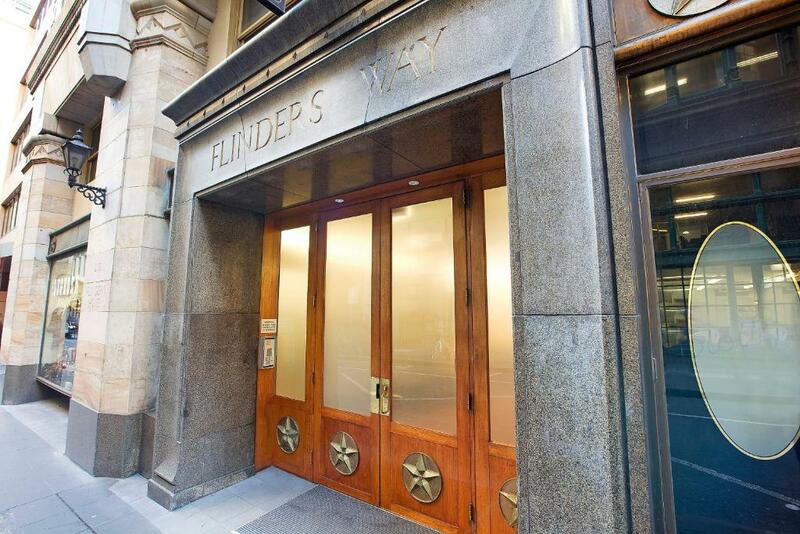 Lock in a great price for Flinders Lane - Studio Apartment – rated 9.2 by recent guests! 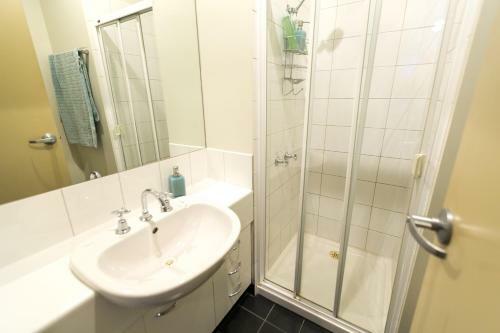 Flinders Lane - Studio Apartment This rating is a reflection of how the property compares to the industry standard when it comes to price, facilities and services available. It's based on a self-evaluation by the property. Use this rating to help choose your stay! 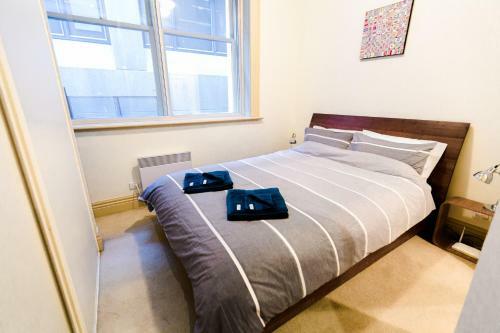 Located in the heart of Melbourne's CBD, Flinders Lane - Studio Apartment offers accommodations with free WiFi. It is a 5-minute walk from Federation Square, Flinders Street Station and the Southbank Arts Precinct. Flinders Lane Studio Apartment is a 7-minute drive from the Crown Entertainment complex. Melbourne Airport is a 30-minute drive away. 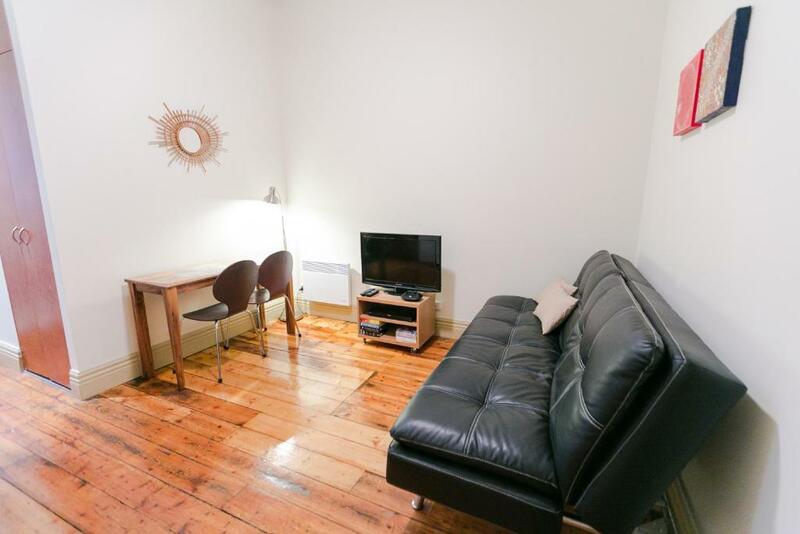 Located on the 3rd floor of a 1932 heritage building, this studio features high ceilings, ceiling fans, double-glazed windows and polished timber floors. It has a separate bedroom and a double-sized sofa bed. The dining/lounge area offers a flat-screen TV, a DVD player and an iPod docking station. There is a washing machine and a bathroom with free toiletries. 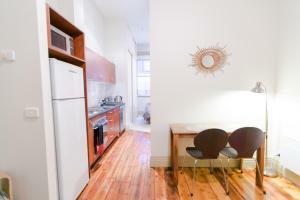 The apartment includes elevator access and a fully equipped kitchen with a dishwasher. 뀐 Located in the real heart of Melbourne, this property has an excellent location score of 9.7! 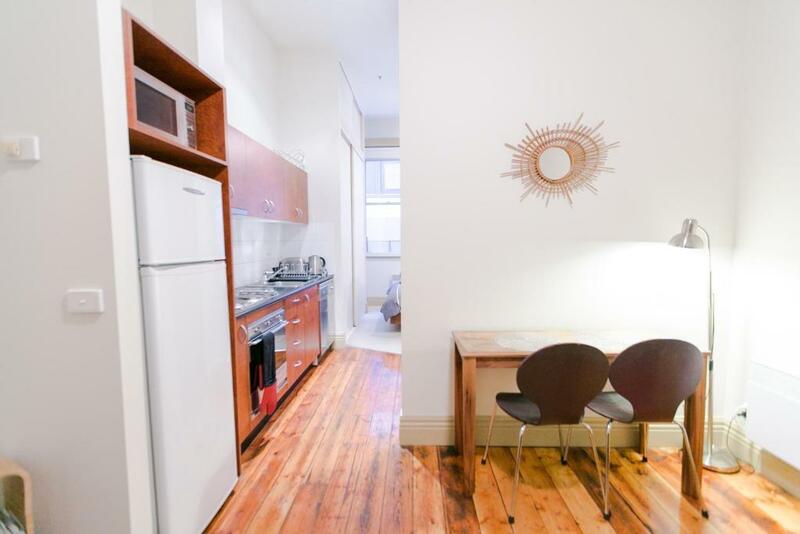 When would you like to stay at Flinders Lane - Studio Apartment? 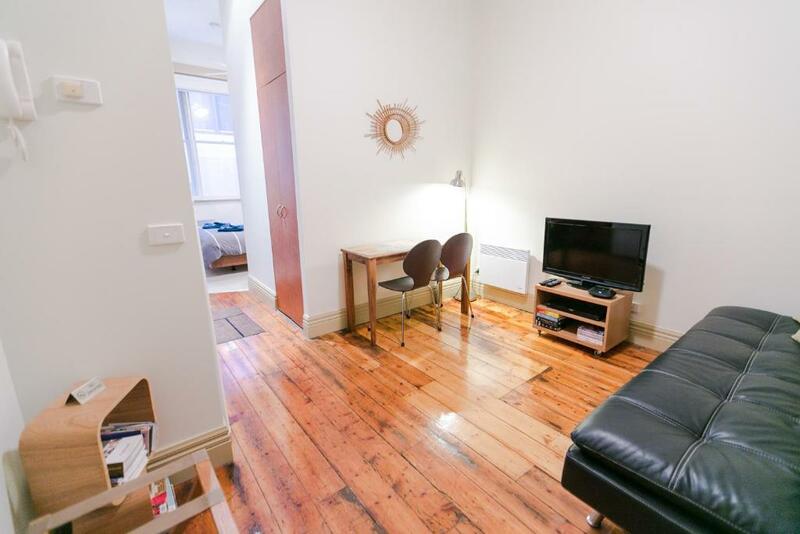 This studio apartment features high ceilings, double-glazed windows and polished timber floors. It features a fully equipped kitchen, a dining setting and a lounge area with a flat-screen TV, DVD player and iPod docking station. The beautiful Flinders House, built circa 1860, with its Italian Renaissance Palazzo facade is a very desirable location for the traveller who is here for leisure or business. 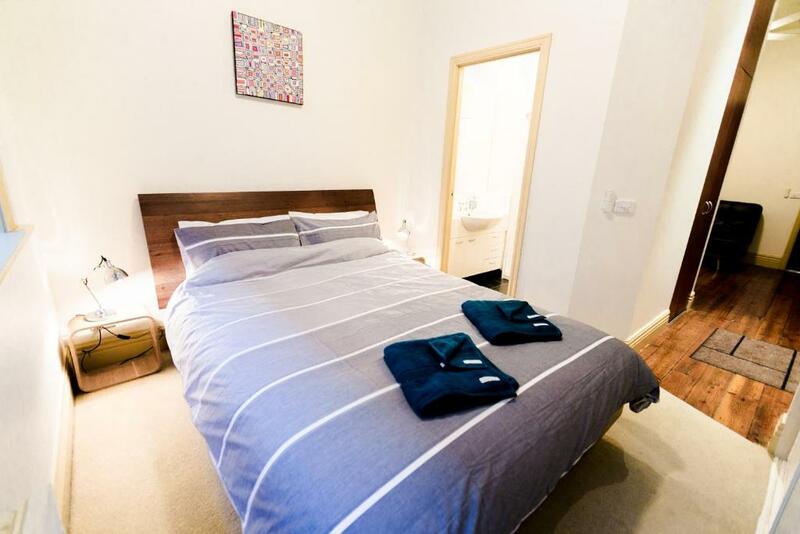 Our studio apartment #309 is right in the heart of everything that Melbourne, the World's Most Liveable City, has to offer. Whether you choose to board a tram or take a casual stroll, you're no further than 200 metres to the retail core of the CBD, which includes the major department stores, our famous arcades (with boutique designers) and laneways (cafes, wine bars). To whet your appetite, 5 of the Top 50 restaurants in Australia are all located in Flinders Lane. Melbourne's famous Arts and Sporting Precincts that include the National Gallery of Australia, the MCG and Melbourne Park ( Home of the Grand Slam of Asia/Pacific, The Australian Open Tennis) are also in close proximity, providing an abundance of cultural and entertainment options all throughout the year. Yes, Melbourne may have ' four seasons in a day' but we totally embrace the cosmopolitan lifestyle and hope that our guests will too. 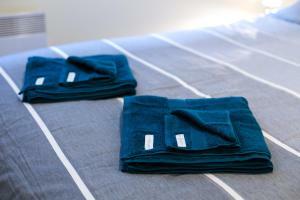 House Rules Flinders Lane - Studio Apartment takes special requests – add in the next step! A AUD250 damage deposit is required 7 days before arrival (about USD178.79). This deposit will be fully refunded 7 days after check-out, as long as there isn't any damage to the property. 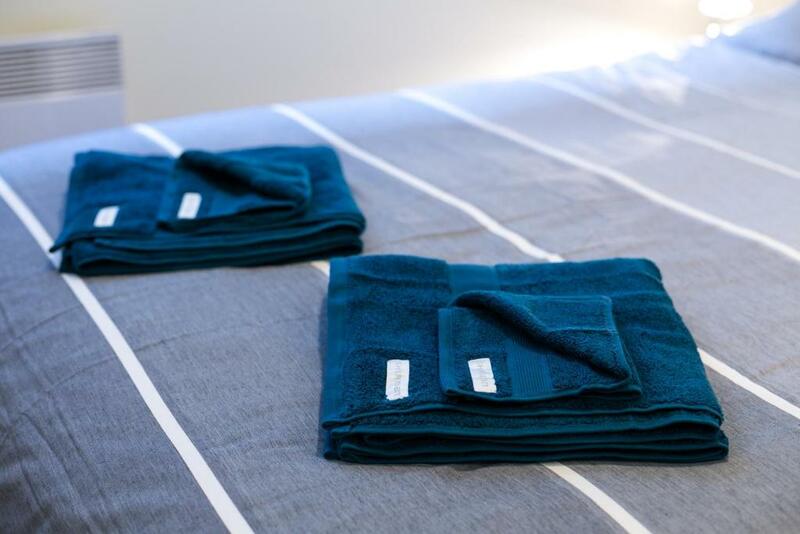 Flinders Lane - Studio Apartment accepts these cards and reserves the right to temporarily hold an amount prior to arrival. A damage deposit of AUD 250 is required. The host charges this 7 days before arrival. That's about 178.79USD. This will be collected by credit card. You should be reimbursed within 7 days of check-out. Your deposit will be refunded in full by credit card, subject to an inspection of the property. View (lack of) - but not a biggie. We accidentally only booked 1 night and was suppose to book2 Joy had terrible customer service an was quite rude on the phone demanding my wife pullover from driving an give her credit card details! The only thing I would mention is letting people know where to find extra towels but having said that - they weren't hard to find them! Very nice property in the hub of Melbourne's coffee and restaurant precinct. The room was organised around my flights so got the keys early. Staff are excellent. No real problems at all. The WiFi would not load on my iPad ( probably an iPad issue) although it did on the iPhone. Slightly patchy reception. Very convenient location and very quiet. Bed was very comfortable. there was very little I didn't like about this accommodation choice. although if there had to be something it would be the size of the shower, I'm a broad shouldered guy and this made getting in and out a little difficult. also there was limited space to spread out suitcases. although this may have been my partners fault for taking up all the available places for her stuff. The location of this Accommodation was ideal for anyone wishing to experience the Melbourne city culture. it was walking distance to the Street art alleys and a large majority of the CBD bars. for a bit further walk you can get the other side of the river, to enjoy the Vic Art museum, Eureka Sky deck and the casino/shopping centre just down from here. for the price it is I was very impressed!